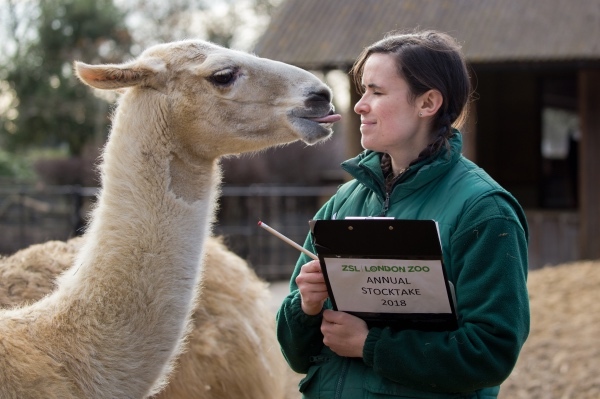 Last week was the ZSL London Zoo’s annual stocktake in which they make a count of all the creatures, great and small, that are residents of the zoo. 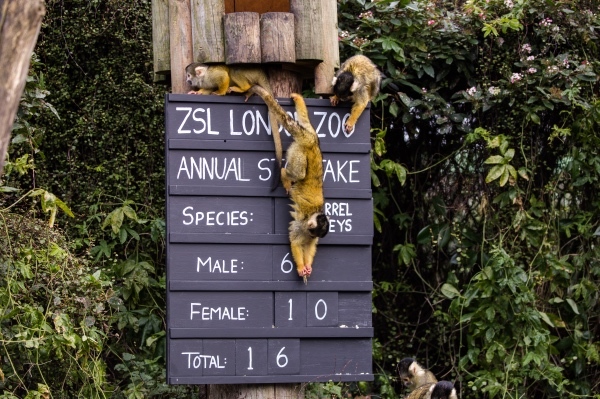 Some 750 species live at the zoo totalling more than 19,000 animals, meaning it’s quite a mammoth effort which takes almost a week to complete. The information gained is then shared with other zoos around the world via the Species360 database to aid in managing worldwide conservation breeding programmes for endangered animals. 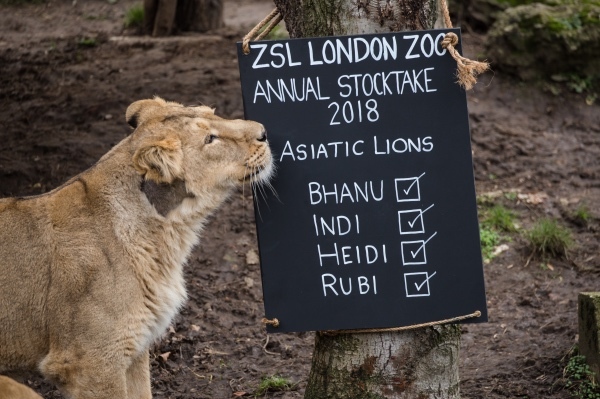 While some animals, like the Asiatic lions are easy to count, others are less so due to their tiny size (although ant colonies are simply counted as one). Among first-timers this year were two gibbons – Jimmy and Yoda – as well as 11 Humboldt penguin chicks, eight new Galapagos tortoises and a Hanuman langur baby (a species of leaf-eating monkey). For more on the zoo, see www.zsl.org. 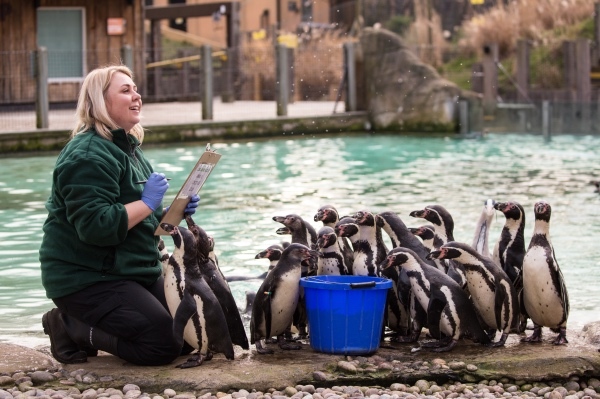 PICTURES: Top – Humboldt penguins; Below – Squirrel monkeys, llamas and an Asiatic lion.